It is possible to run an out of home campaign without a social media element, but it’s become rare. Over the past five years, social media has gone from an unusual addition to a necessary one. Social networks can turn a local campaign into a national one. When people share photos of a funny billboard on Instagram or tweet about the “zombie” they just ran into on the streets of New York, the campaign takes on an entirely new dimension online. YouTube is particularly popular. Campaigns can rack up millions of views for a video of a stunt, which helps it live on online for weeks or even months after the out-of-home experience itself is over. It’s also easy to track the reach of a campaign that uses a certain hashtag across different social media networks. However, there can be a downside. When a campaign does not go as planned, advertisers hear about it on social media, and the campaign lives on perhaps longer than they might hope. Ashley Shipley, director of social media and online marketing at Matrix Media Services, talks to Media Life about why social media is vital to out of home, which advertisers have done it well, and how OOH ideas have evolved with the increase in social media usage. How long has social media been a necessary part of an OOH campaign? Social media has been a necessary part of OOH campaigns since its mainstream success. Many brands and planners thought the social media bubble would pass and failed to integrate their channels during an early adoption period where they would be most noticed. Now, brands are playing catch up with those who did adopt the integration early. The true necessity of social media within OOH came as it always does, through competition and the fear of being the brand left behind. Is there one social media network that works better with OOH? When it comes to OOH a clear and concise message is best. You have limited space, so as with social media, every character counts. When including a call to action in your OOH ad, the universal identity of those platforms through their branded icons is now enough to coach consumers with less and less verbiage. The Twitter icon with your handle or hashtag is all users need. The same is true with Facebook, YouTube and even Google+. Consumers understand these platforms–sometimes better than the advertisers themselves. Lengthy URLs just aren’t necessary anymore. What are the benefits of using social media in combination with OOH? Capitalizing on the success of OOH by integrating your social media channels not only delivers your message of the moment but it also “recruits” consumers to your social channels, making them an audience for future messages. Most social media usernames are short and thus memorable, lending well to outdoor. How can social media help an OOH campaign get a second life online, and what’s the benefit of that? The integration of social media in OOH isn’t typically what causes the second life effect, but it certainly doesn’t hurt. Shareability and entertainment are the number one factors that cause a typical OOH campaign to go from local market coverage to the online story of the moment. When campaigns are lucky enough to gain mass online coverage it typically doesn’t stop there. News stations and talk shows also pick up the story as a way to remain relevant with internet users. 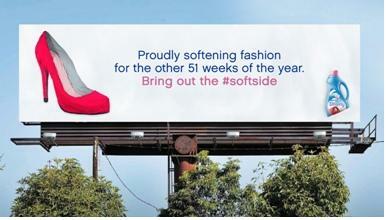 What are some campaigns you think have done a particularly good job of integrating social media with OOH? Sometimes true simplicity wins out. Downy wins my vote for one of the quiet and simple greats. 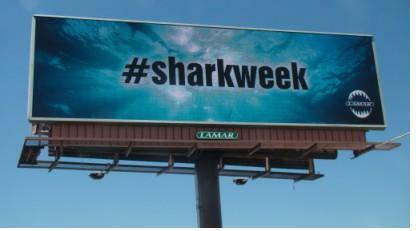 [Last fall Downy put up a series of digital billboards with hashtags that invited people to discuss the topic online.] Instead of just including a basic, standalone hashtag in their artwork, Downy went a step further and used hashtags as social media users do–as part of their online conversation. This isn’t an afterthought or a random hashtag in the corner of the ad, Downy is inviting social media users into their conversation in a way they’re used to. How has social media changed OOH campaign ideas? With social media and the potential of expanding OOH coverage through a second life online, advertisers are now under more pressure than ever. Not only are they seeking the next great idea but they’re also scrutinized immensely for any unpopular or negative concepts they put out there. Before social media a brand could sweep an ill-conceived campaign under the rug, but now those campaigns are picked up on and picked apart.